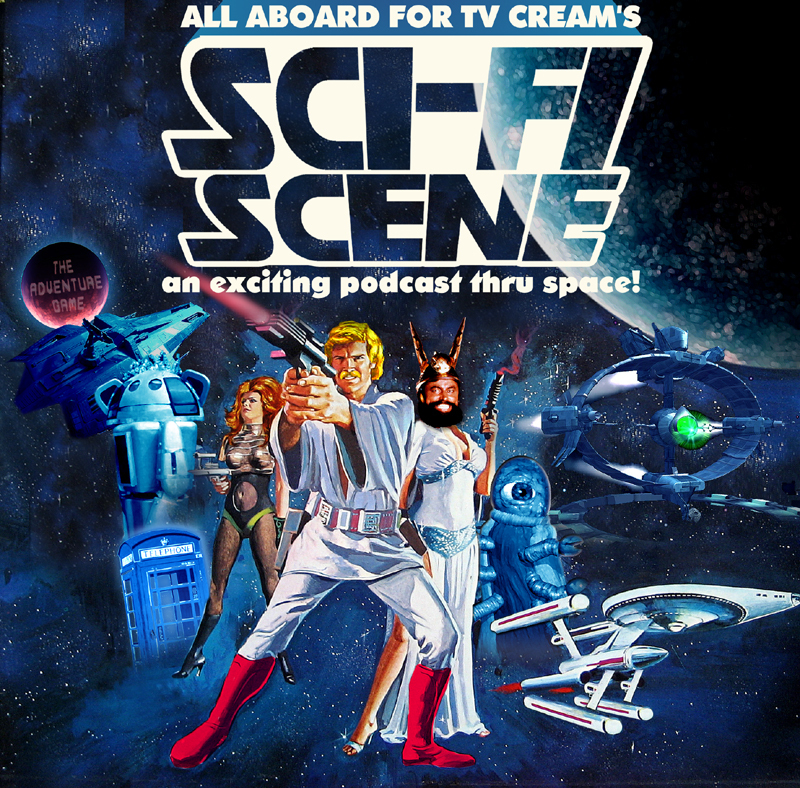 TV Cream’s fourth podcast – and it’s the biggest yet clocking in at a smidge over an hour. Sorry about that. The universal premiere of the Blake’s 7 theme plus lyrics, and an assessment of what actually makes a successful TV sci-fi theme song. Jon P’twee is defrosted to file a video game review, space buskers are given short shrift, and the space Monopoly board game is brought out for a thorough working over. There’s also the Davidson Dossier – new and exciting information about the Fifth Doctor; a look-back at Captain Zep: Space Detective; plus an exclusive peep ahead to this year’s Dr Who Christmas special… and a fleeting visit to Steven Moffat’s bedroom. Finally, there’s a guide to winning The Adventure Game, which culminates in a senses-shattering showdown on Arg! TV Cream is now on iTunes, so you can download the thing from there, download directly from us here (84MB!) 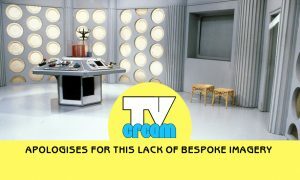 or simply listen to it on good ol’ tvcream.co uk. If that doesn’t sate your appetite for all things sky-fi, we can also recommend the latest production from our good friends at Tachyon TV. Find out more about that here. Brilliant! Wasn’t expecting this – it’s like finding that last Christmas present that everyone had forgotten about. Thanks for this and all the other stuff on the site and in the guides. Merry Christmas to you all! Here here! I listened to it on the Tube on my way home from work tonight and it was bloody brilliant. I shouldn’t be surprised, of course, as everything you good people touch turns to gold. Very kind of you, FishyFish and Chris O. As for: “everything you good people touch turns to gold”… Where were you then when we brought back the TV Cream mailing list for ’31 Days in May’? Yikes! Merry Christmas to you both, by the way. You’re officially our favourite TV Cream readers/listeners. I have a mouse in my right hand and would like to echo FishFish and Chris O’s comments. and they really should bring back that ‘Question Of Sport’ theme! Whats the theme at 13.24? The whistling?